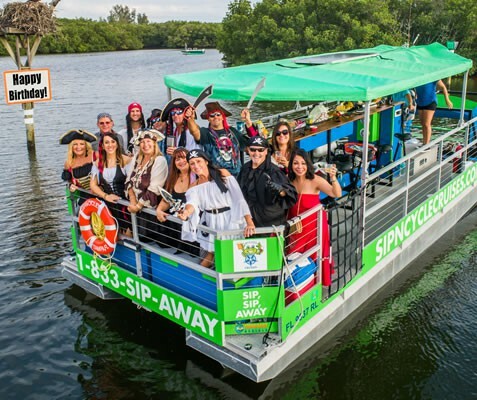 Sip-N-Cycle – Welcome to Sip-N-Cycle Cruises – Siesta Key, Florida's Ultimate Party Boat! 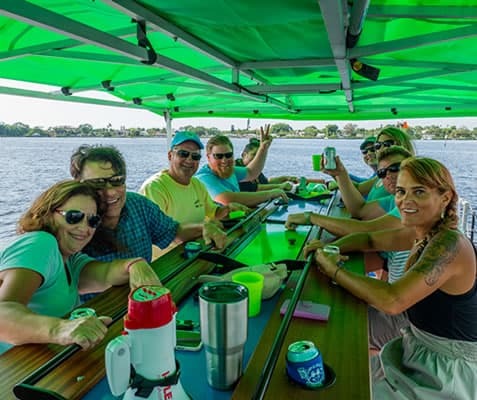 Join us aboard our 16-passenger bike-boat-bar for scenic cruises along the intracoastal waterways. Enjoy A Unique Excursion By Land or by Sea, In And Around Siesta Key! Book a Cruise for . Ahoy! We are Sip-N-Cycle Cruises! 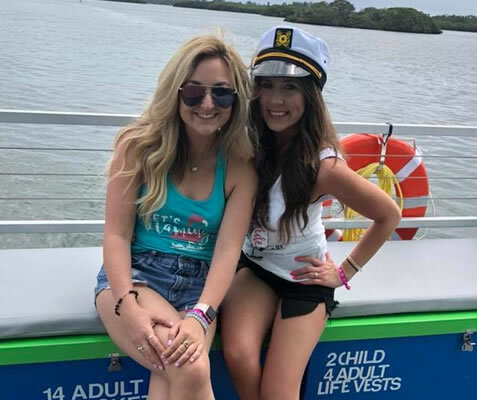 Join us aboard our Pedal Party Boat or our Pedal Party Bike for scenic cruises along the intracoastal or pedal through the center of Siesta Key’s famous Village and along the shoreline of its #1 beach. Perfect for an office department getaway. The 16-passenger cycleboat is designed with two inward-facing rows of pedal stations. Enjoy your favorete beverages, music and more. Our cycleboat is a perfect way to celebrate with a bachelorette or bachelor. We provide everything you need to have a great time! Celebrate their day with a special cruise! Get together with friends, relax and unwind! Whether you choose a cruise by land or by sea, bring aboard your favorite beverages & snacks, crank your tunes and enjoy your time together! Are you looking for a different way to celebrate an upcoming birthday? Look no further! 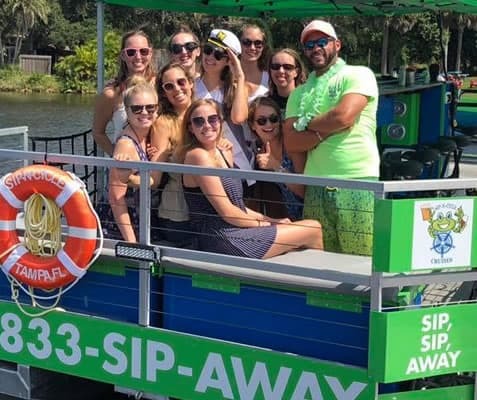 Make it their most memorable birthday yet with Sip-N-Cycle Cruises! Definitely recommend! There were 10 seats for pedaling and additional seats to hang out in the sun. We stopped after about 45 minutes at a tiki bar on the water, and it was a great little break. Crew (Brittany and Lori) were absolutely amazing and positively added to the fun experience. We have a group going back in a few days and we can’t wait to go again next time we’re in Siesta! We had an awesome time on the Sip-N-Cycle Cruise. It was a blast!